27-year-old Patrick Stoffer is a graduate student at Saxion University. He’s one of about five students who live at Humanitas Deventer. During their 30 volunteer hours, the students teach the retirees skills like how to send an email or Skype, or just share a meal and a conversation. Many of the students have formed profound relationships with their elderly neighbors. “At first I thought I’m just gonna help out a little bit, but you find out that these relationships are deeper than you would expect,” Stoffer said in a video. One of his roommates is 89-year-old Harry, a retiree, whom Stoffer describes as a “joker” who “knows how to handle the ladies.” They’ve become close friends. 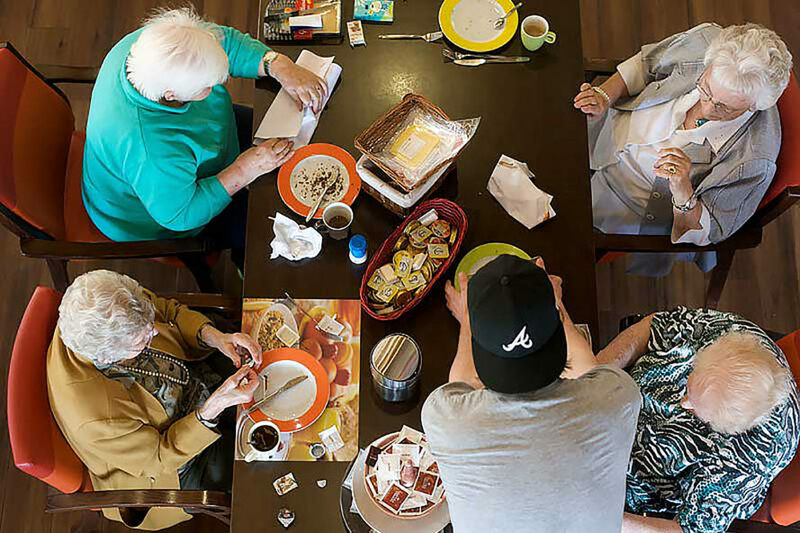 A lack of affordable housing in other university towns has inspired communities in other areas around the world to adopt intergenerational living models. One similar community is Judson Manor in Cleveland, Ohio, where music students live in a 1920’s luxury hotel converted into a senior home in exchange for playing music for the elderly residents. Urban design student Jurriën Mentink shared his experiences at Humanitas Deventer in this TEDx talk – where do I sign up? Here it's not unusual for twenty-something grad students to be roommates with residents in their 80's and 90's. 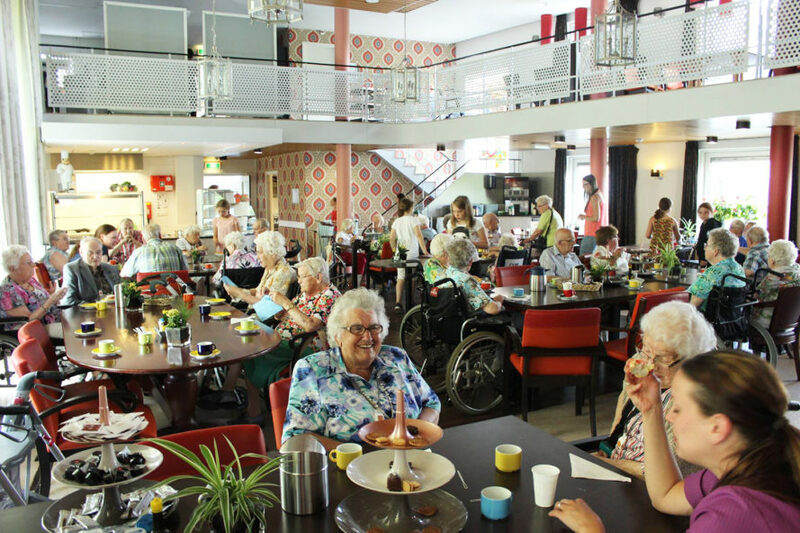 At an independent senior living home in the Netherlands, Humanitas Deventer, students can reside in the home for free. In exchange, for 30 hours each month they volunteer and socialize with the other residents, mainly retirees.